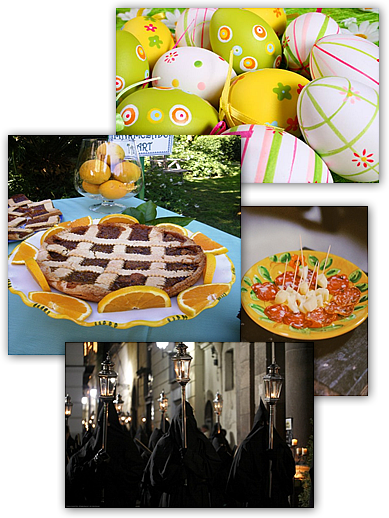 Live the magical atmosphere of the Easter period in Sorrento sharing all religious and folkloristic appointments during the holy week. It will be an unique experience to see how locals feel and live this time.Choose to share with a local family traditional Easter menu taking part to a cooking class at Villa Ida. You will prepare all typical recipes… like delicious famous “Pastiera” cake. You will live a truly wonderful day meeting new people, cooking simple and finishing with a hearty lunch of the food you have prepared.